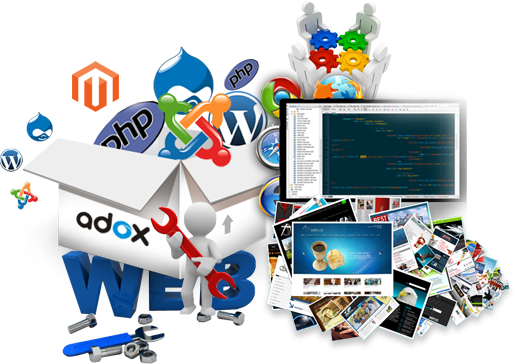 When your business outgrows the functionalities that a simple static web site can offer, you need to implement a more complex dynamic web site that is capable to interact with your clients or viewers. Managing website from Frontend WYSIWYG HTML Editors. 1 GB Hosting under Linux Server for 1 year. 3000 MB Monthly Data transfer / Traffic. Development Timelines (If content is available): 10 working days. Charges per extra pages: 1000 Taka. If the page size is more the A4 size then additional cost will be 1000 Taka per A4 size Content. Renew: 7000 taka per year for Domain & Hosting. Domain and hosting must be renewing in every year before 1 month of expired date. Domain .com .net .org .info Registration. 2 GB Hosting under Linux Server for 1 year. 5000 MB Monthly Data transfer / Traffic. Development Timelines (If content is available): 15 working days. Renew: 12,000 taka per year for Domain & Hosting. Otherwise additional cost will be added according to the domain hosting renew rules. 4 GB Hosting under Linux Server for 1 year. 10,000 MB Monthly Data transfer / Traffic. Development Timelines (If content is available): 20 working days. Renew: 20,000 taka per year for Domain & Hosting. 5 GB Hosting under Linux Server for 1 year. 20,000 MB Monthly Data transfer / Traffic. Charges per extra pages: 2000 Taka.